Research lover. Talk a-lot-er. Idea-thinker. Dog Botherer. Emily is hugely passionate about the application and dissemination of research and making sure it is available for all, particularly those it affects the most. Emily's research interests include canine jump kinematics, human canine interactions and canine welfare. You could argue dogs are her thing. Alongside research, Emily teaches on animal behaviour, animal welfare and animal ethics modules. 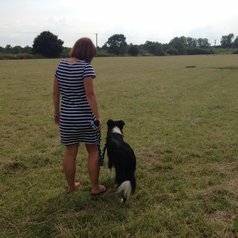 Emily runs dog training classes at NTU and enjoys giving talks and presentations about research and being proactive, not reactive in dog training.